Is there a better alternative to Master of Gomoku? Is Master of Gomoku really the best app in Card and Board category? Will Master of Gomoku work good on macOS 10.13.4? 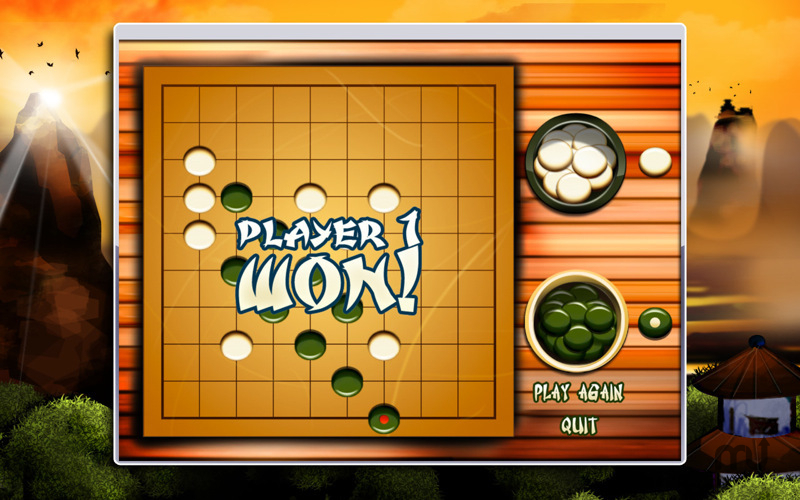 Master of Gomoku is a strategy board game where you try to get 5 of your stones in a row before the other player. It has 4 levels of AI to play against the computer and 2 player/multiplayer modes as well. The journey is easy to begin, but hard to master. Can you become a Master of Gomoku? In Gomoku the dark color normally plays first, and players alternate in placing a stone of their color on an empty intersection. The winner is the first player to get an unbroken row of five stones horizontally, vertically, or diagonally. Note: 1.0.5 is the version number of the free version; the commercial version is at 1.0.4. Master of Gomoku needs a review. Be the first to review this app and get the discussion started! Master of Gomoku needs a rating. Be the first to rate this app and get the discussion started! Board sizes from 8x8 through 15x15. Great background music and sounds.